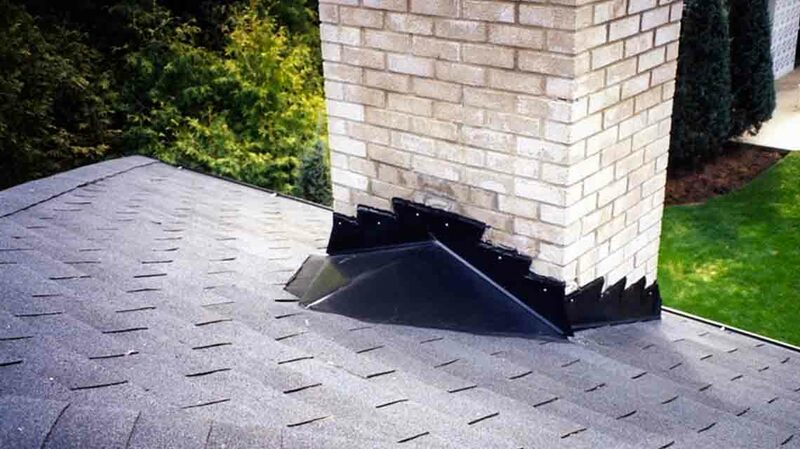 A Flashing is a material that is commonly used in the roofing industry surrounding chimneys an tight locations. The basic principle with a flashing is to minimize water penetration in an angled roof. Metal flashing materials include lead, aluminium, copper, stainless steel, zinc alloy, other architectural metals or a metal with a coating such as galvanized steel. Roof flashing is placed around discontinuities or objects which protrude from the roof of a building to deflect water away from seams or joints and in valleys where the runoff is concentrated. Wall flashing may be embedded in a wall to direct water that has penetrated the wall back outside, or it may be applied in a manner intended to prevent the entry of water into the wall. Wall flashing is typically found at interruptions in the wall, such as windows and points of structural support. Sill flashing or sill pan is a concealed flashing placed under windows or door thresholds to prevent water from entering a wall at those points. Roof penetration flashing are used to waterproof pipes, supports, cables, and all roof protrusions. Stainless steel penetration flashings have proven to be the longest lasting and most reliable roof flashing type. Dorsch Roofing is one of the few roofing companies that offers a 10 year Guarantee on workmanship! We Guarantee our work and if its not up to your satisfaction we will make it right! 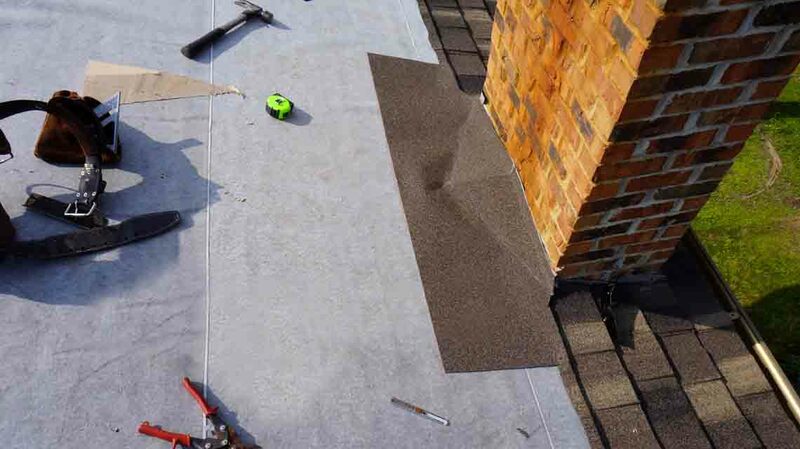 Different types of roof flashing are commonly used Cooper is one of the most common flashings as it is durable, looks great as well as resistant to harsh weather conditions. Copper is a material that is very easy to work with which promotes its use and it can be installed in complicated valleys quite easily. Lead is a close competitor as it is also quite strong (This has been the primary material used over the past 500 years). In modern roofing applications it is quite common to use newer materials like aluminum, stainless steel, galvanized steel as well as Zinc. Choosing the correct material can be daunting task, as so many variables surrounding weather, elements and installation come into play.